Emilia Clarke and Kit Harington during a scene in "Game of Thrones" season 7. All good things must come to an end. You knew this was coming at some point, it just may have been sooner than you thought. Here's a list of all the TV shows ending next year. "The Big Bang Theory" on CBS will be ending it’s 12-season run next year. It is the longest-running multi-camera comedy in history with 279 episodes. Jim Parsons, who plays Dr. Sheldon Cooper, decided to leave the show, and creator Chuck Lorre made the decision then to end the series rather than go on without Sheldon. The actors will be making close to $1 million apiece for the 12th season, which will come to a close in May. Of course, one of the more well-known conclusions is HBO's "Game of Thrones." 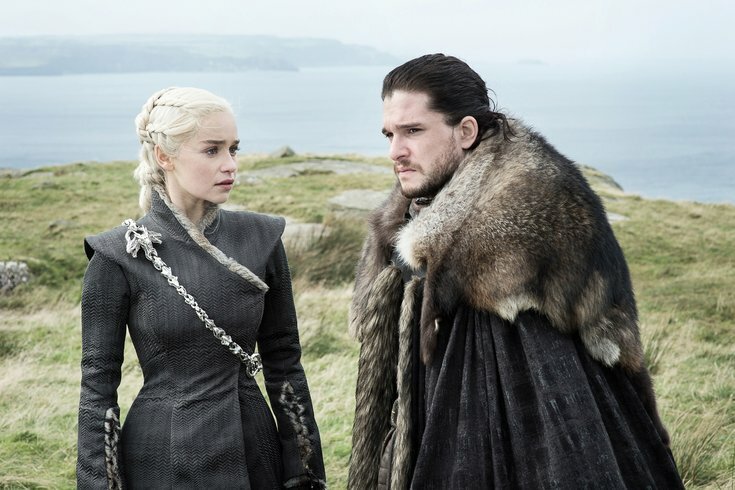 While it looks like we may have gotten a first glimpse of season eight, this series won’t air till some time early in 2019 for six episodes. Another HBO favorite, "Veep," will be taking a bow after its coming seventh season. The show took a break so Julia Louis-Dreyfus, who plays lead Vice President Selina Meyer, could focus on her breast cancer treatment. The show is currently in production and will be released in spring 2019. "Transparent" on Amazon took a hit last year. Lead Jeffrey Tambor was fired for sexual misconduct for his behavior on the set of the show. While the show will return for one more season without Tambor, it is unclear how the show will go on without his character. It is also unclear if it will be a full season. Comedy Central’s critically acclaimed and beloved "Broad City" will be returning early 2019 for the fifth season, which will be the series' last. Stars Ilana Glazer and Abbie Jacobson have three projects in development for Comedy Central, so while it may be the end for these characters, their presence on the channel will remain. FXX comedy "You’re the Worst" will be also be ending after it’s fifth season airing in January. Its last season will explore commitment as the show’s main characters Gretchen and Jimmy officially got engaged last season. Netflix’s “The Unbreakable Kimmy Schmidt” will be ending in its fourth season. The final season was split in two – the first half aired on May 30 and the second will be airing on Jan. 25. Other fan favorites that will be ending include Showtime’s “Homeland,” and “The Affair.” The CW’s “Jane the Virgin,” “Crazy Ex-Girlfriend,” and “iZombie” will all be ending next year. Bruce Wayne will become Batman in “Gotham'’'s final fifth season on Fox. “A Series of Unfortunate Events” on Netflix has come to its final third season which will cover the last four of the 13-book series "Lemony Snicket’s A Series of Unfortunate Events.” Freeform’s “Shadowhunters” was canceled, but will end with 12 episodes including a two-hour series finale.